Deputies arrested four Ventura County men after they allegedly fired paintballs at pedestrians in Isla Vista early Saturday morning, injuring one person. Just after midnight, suspects in a moving vehicle fired paintballs at pedestrians in the 6600 block of Picasso Road and in the 700 block of Camino Del Sur. One victim suffered injuries to his chest, arm and leg after being shot, according to the Santa Barbara County Sheriff’s Office. Witnesses described the suspects’ vehicle as a small, black compact car. Deputies searched the area and located the car on the corner of Picasso Road and Camino Pescadero. Deputies found a paintball gun in plain view at the feet of a rear passenger. The car also contained a bag of paintballs, and deputies found a paintball in one of the passenger’s pockets. 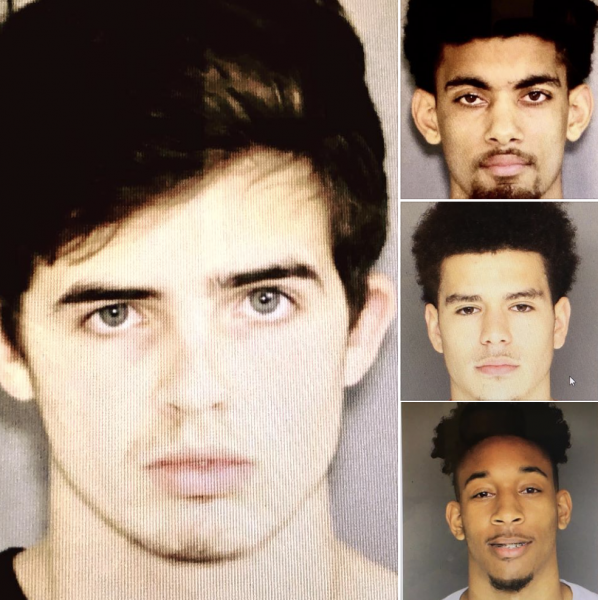 Sheriff’s officials identified the suspects as 20-year-old Oxnard resident Jelani Bell, 21-year-old Ventura resident Alonzo Gude, 21-year-old Oxnard resident Marques Russel and 19-year-old Ventura resident Elliot Couilard. Deputies arrested all four men on charges of conspiracy and felony assault and booked them into jail with their bail set at $30,000. Investigators request that anyone with information about the paintball shooting call the Isla Vista Foot Patrol at (805) 681-4179 or anonymously call (805) 681-4171.